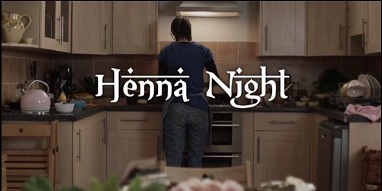 Henna Night is a short love drama that takes place within a British Arab family. The film exposes the suffering and desire for freedom that is occasionally shared throughout the Muslim female community. It tells a story of two Muslim girls trapped in a world where the institutions of marriage and religion bind them like cages. What starts out as a simple release of the fear induced tension turns into a much darker romantic tale. The two women come closer together under the pressure of the moment and are able to overcome the nervous condition associated with their eventual path of monogamy.